 Tired of kids with cold wet feet during winter walks? Want something with grip and support? These kids walking boots may be just what you are looking for. Unfortunately, The North Face have discontinued these great kids boots. It wasn’t very long ago when it was really hard to find decent outdoor clothing for kids. 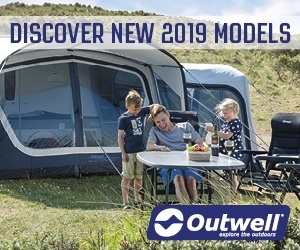 A lot of high street shops focus more on ‘fashion’ clothing, that may look ‘outdoorsy’, but are completely useless as soon as a bit of wind and rain hits them. Fortunately things may be changing, as more outdoor brands are turning their attention to producing kids clothes, with the same technical qualities that can be found in adult versions. This is good news for all our kids. We were lucky in summer to equip ourselves with decent summer walking shoes from the high street. Now the Autumn hiking season is starting (and small feet have grown again! ), it’s time for new walking boots. The North Face is a well recognised brand for outdoor clothing. Did you know, they also make kid sized walking boots? And decent ones too. What’s more, you get them on the high street from Blacks, and are available in both boys and girls styles. First impressions of the Boy’s Chilkats Boot is that it’s really well made. It comes in two parts, with the lower half looking like a ruggedised welly boot, so you just know puddles aren’t going to be a problem. In fact the entire boot has been treated to be waterproof and all the seams have been sealed. 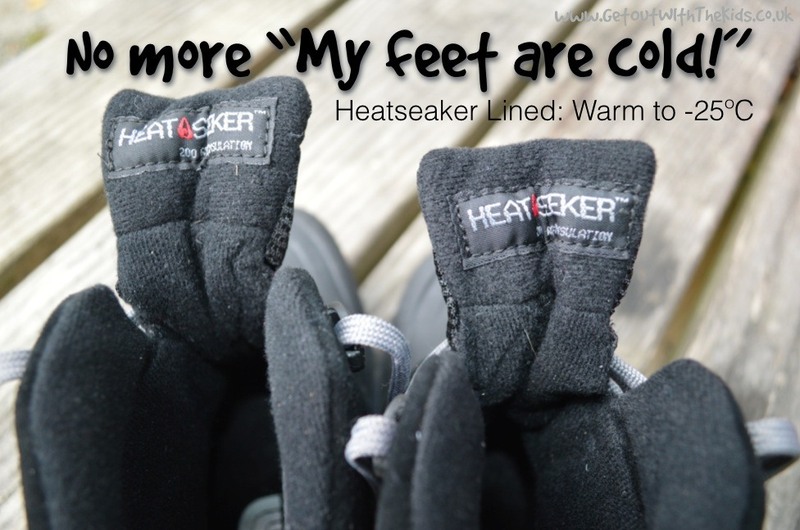 Heatseeker thermal lining in boots keeps your child’s feet warm during the winter. The inside of the boot is padded and insulated, which is going to be great for family hikes in winter. The North Face claim this could keep the feet warm even down as far as -25ºC …though we’ve not tested them when it was that cold! The grip on the soles are very good too. 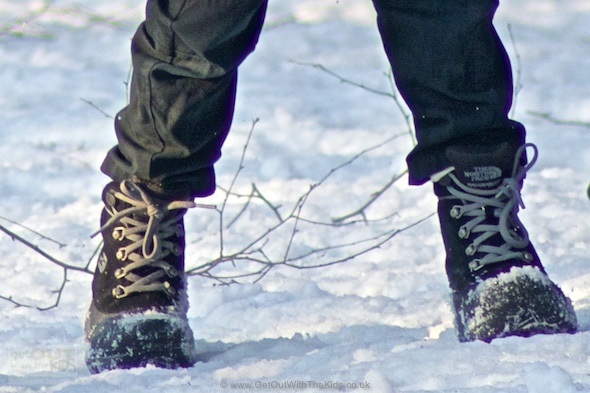 We tried these boots on a variety of terrains. They had pretty good grip when going on a spot of bouldering at Snowdonia in Wales. This is The North Face’s Winter Grip technology that they claim works well on icy paths too. With the waterproofing and insulation, plus the winter grip, these boots are going to be great when the winter hits, even in the snow and ice. Unlike shoes, the high sides of these boots means they give plenty of support to your boy’s ankle. When our little lad first wore them he did find walking in them a little funny, since they added nearly an inch to his height. However, he soon got used to them, and was running around and climbing over things in no time. These boots certainly get the thumbs up from us. You can get these in a number of sizes, from size 10 in Children’s up to size 6, and are available from Blacks. If you don’t like the black colour you can get them in beige, though we think the black works well for this time of year. At the time of writing these boots were available for £50 from Blacks, though check their website for the last price and offers. The McMurdo Girls Walking Boots. Fortunately the girl’s don’t get left out, with the McMurdo girl’s walking boot. 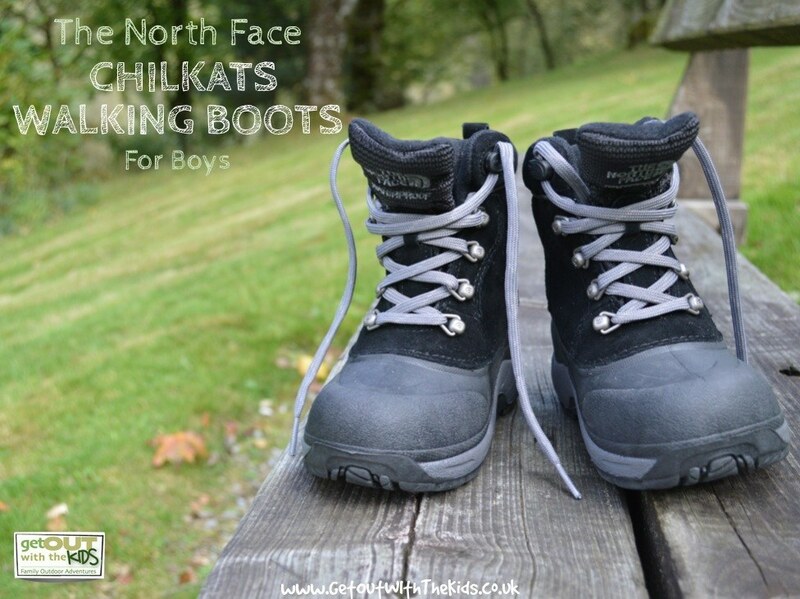 As with the Boy’s Chilkats boot, these are fully waterproof, and designed for cold wet weather that you find in the wintery months. They are well insulated too, using the same Heatseeker technology as the boy’s boot, but in addition come with a faux-fur collar to the boot, which our daughter found very stylish. Once again, we found these boots to be well made, comfortable, and had plenty of grip. There’s plenty of support in these boots for hiking across un-even terrain, and with good toe protection, should protect the feet of your kids even when they’re not paying enough attention to where they’re walking. 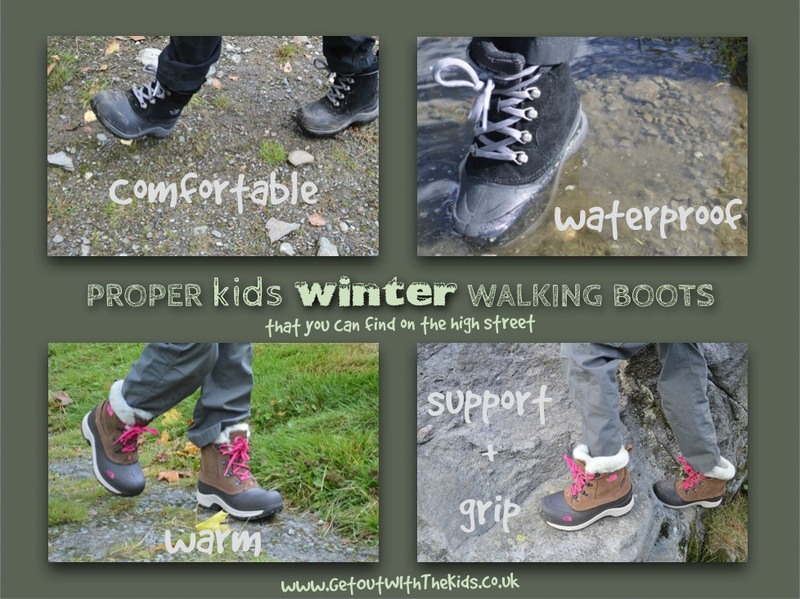 These are another great kid’s walking boot for winter, and get the thumbs up from us. 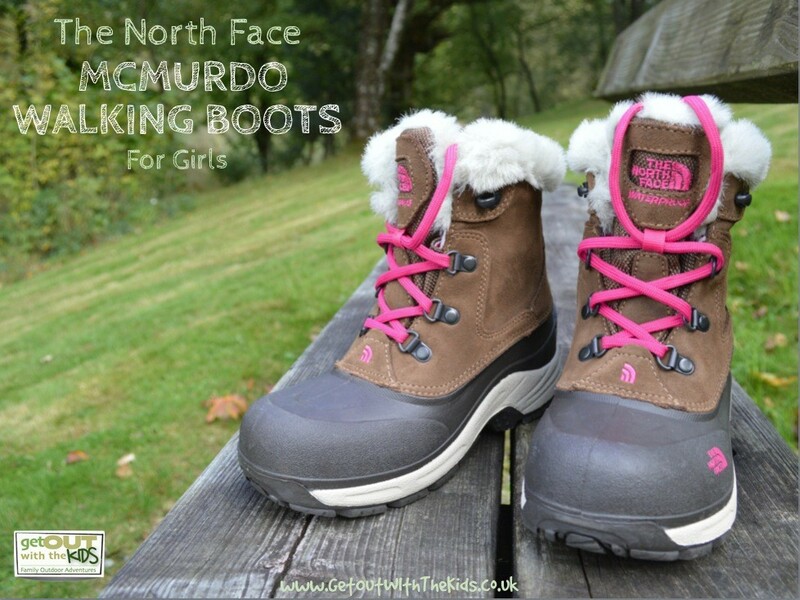 The Girl’s McMurdo Boots come in a number of child sizes, and are available from Blacks. Many thanks to Blacks for providing the samples so that we could conduct this review. We've been very impressed with the's kids walking boots from The North Face. Ideal boots to get your kids for getting outside this Winter. Proper walking boots for both girls and boys. The boot's neck can be quite narrow, so you have to loosen the laces a fair bit to make it easy to get on. A lace-less option (like the Keen Basin Kid's boots) would help perfect this design.